March 15, 2016 NSF REU Opening: Exploring Scalable Data Analytics for Big Data at Stony Brook University. I am looking for a highly motivated undergraduate student with CS or informatics major to work on an NSF sponsored project on Research Experiences for Undergraduates (REU). If you are interested, please submit your application at SPIDAL REU at Stony Brook University . March 1, 2016: We are organizing the Second International Workshop on Data Management and Analytics for Medicine and Healthcare (DMAH'2016), in conjunction with VLDB 2016. The workshop will bring people cross-cutting the fields of information management and medical informatics, to discuss innovative data management and analytics technologies highlighting end-to-end applications, systems, and methods to address problems in healthcare, public health, and everyday wellness, with clinical, physiological, imaging, behavioral, environmental, and omic- data, and data from social media. The workshop will be held at New Delhi, India on September 9, 2016. The workshop is in conjunction with the Very Large Databases Conference (VLDB). Febrary 28, 2016: Department of Biomedical Inforamtics is selected again by Google as a Google Summer of Code Organization. Google Summer of Code is a global program focused on introducing students to open source software development. Students work on a 3 month programming project with an open source organization during their break from university. 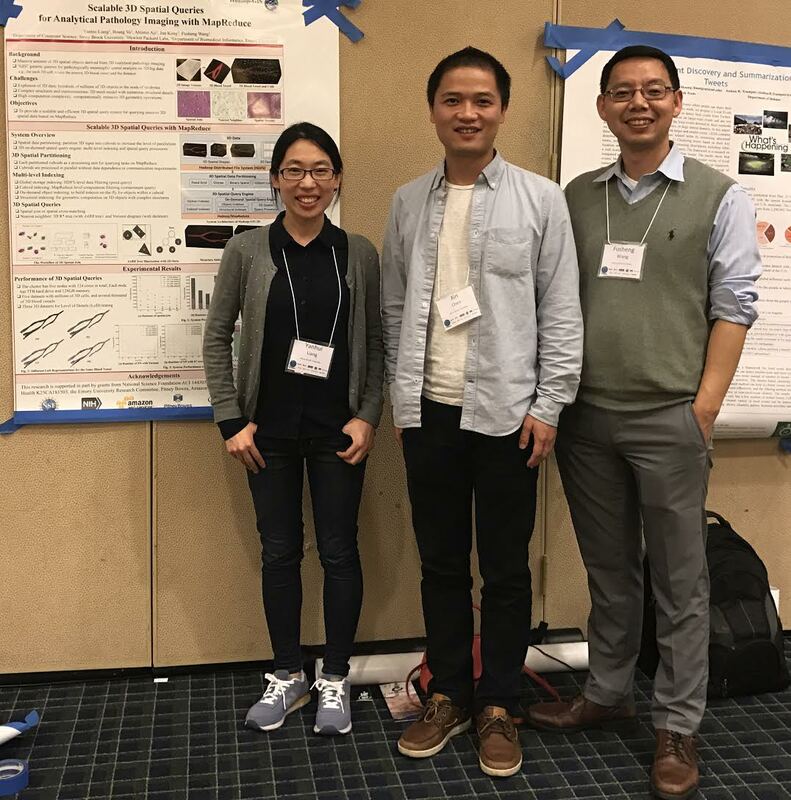 The Department of Biomedical Informatics (organization administrator: Fusheng Wang) of Stony Brook University is selected one of the open source organizations to provide projects for students. December 23, 2015: We won EDBT 2016 Test of Time Award. Our paper “Bridging Physical and Virtual Worlds: Complex Event Processing for RFID Data Streams” is selected for the EDBT 2016 Test of Time Award. The International Conference on Extending Database Technology (EDBT) is a premium conference on database technologies. The conference awards the EDBT test-of-time (ToT) award, with the goal of recognizing one paper, or a small number of papers, presented at EDBT earlier and that have best met the “test of time”, i.e. that has had the most impact in terms of research, methodology, conceptual contribution, or transfer to practice over the past decade(s). papers, presented at EDBT earlier and that have best met the “test of time”, i.e. that has had the most impact in terms of research, methodology, conceptual contribution, or transfer to practice over the past decade(s). September 28, 2015: Shuai Zheng joined Centers for Disease Control and Prevention. April 14, 2015: I will teach CSE532: Theory of Database Systems this fall. April 2, 2015: We are awarded an Amazon AWS Teaching Grant. March 26, 2015: NSF REU Opening: Exploring Scalable Data Analytics for Big Data at Stony Brook University. I am looking for highly motivated undergraduate student with CS or informatics major to work on an NSF sponsored project on Research Experiences for Undergraduates (REU). If you are interested, please submit your application at SPIDAL REU at Stony Brook University .